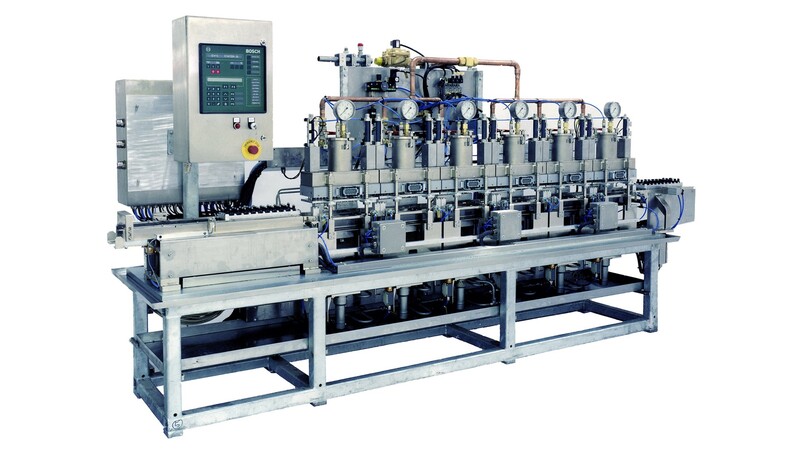 The Engine Hot Test System comprises six Hot Test Stands linked by Powered Friction Roller Conveyor Modules. 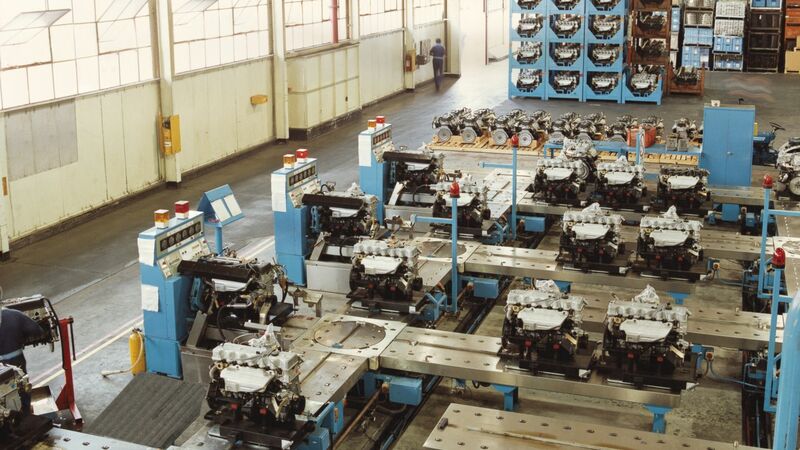 This system is only a section of the complete engine assembly and test line designed and manufactured by Lewis Australia for the Ford Motor Company. 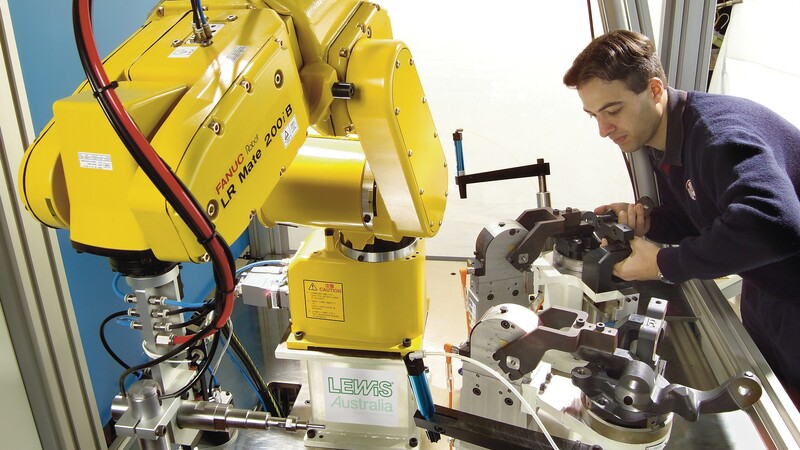 The Fuel Tank Leak Test Machine pressurises and leak tests completed automotive fuel tanks via full water immersion. It features grips in the appropriate locations, supports a range of tank sizes, pressurisation to enhance leak detection, temperature controlled water and advance ergonomic design for safety and ease of operation. 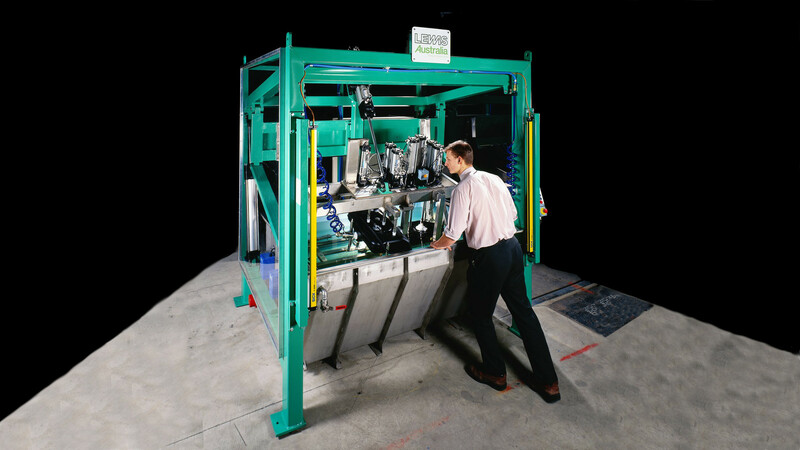 The MRA Test Machine automatically performs a series of acceptance tests on the Modular Reservoir Assembly (MRA) for fuel tanks. It checks the fuel pump, a pressure regulator, a non return valve and the level sensor. 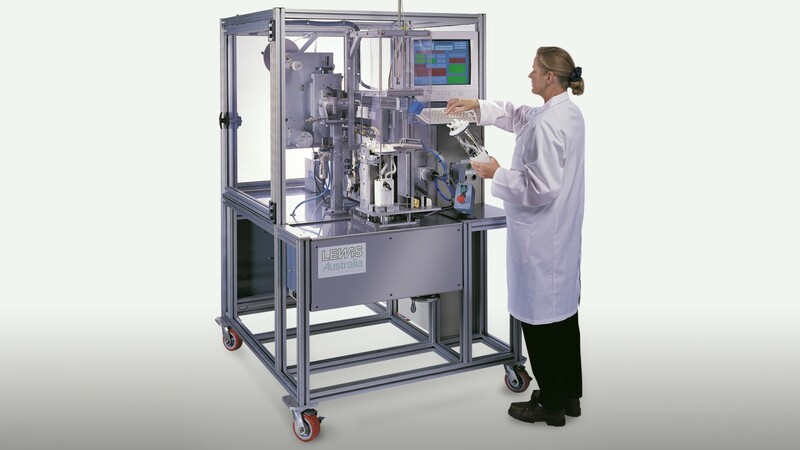 On successful completion of the tests, a label applicator dispenses and applies an acceptance label to the MRA unit. The Fuel Injector Test Machine flushes and tests fuel injectors in batches prior to distribution to engine manufacturers.